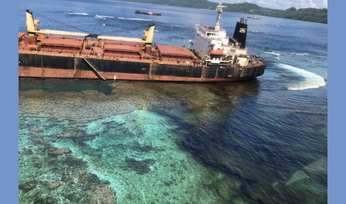 ENVIRONMENTAL damage from a bauxite bulk carrier that ran aground in the Solomon Islands is likely to worsen, experts say. 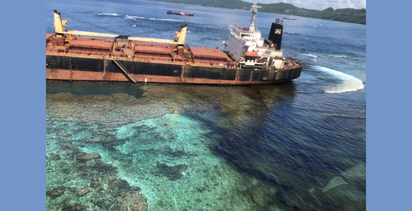 The MV Solomon Trader had been loading bauxite from Rennell Island when it ran aground on a coral reef during tropical cyclone Oma. 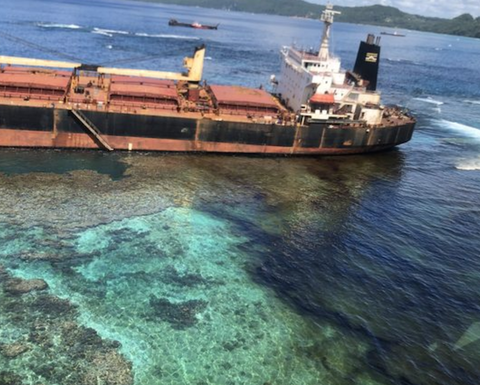 The ship has reportedly continued to leak oil, up to 75 to 80 tonnes, which will contaminate pristine reef areas. The ship is carrying 600t of fuel oil, the Australasian Mine Safety Journal reported. 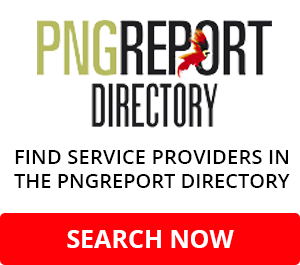 According to The Guardian, the Solomon Islands government has sought urgent help from Australia to deal with the environmental disaster because of frustrations at the slow progress in dealing with the spill. 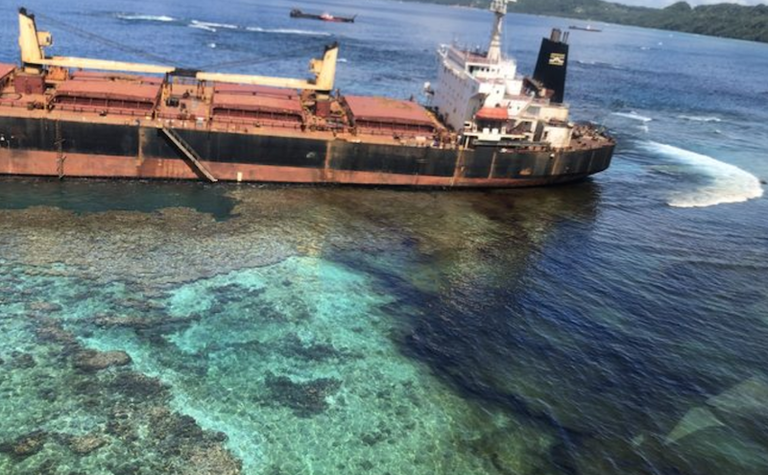 Bintan Mining Solomon Islands has continued to load bauxite with other bulk carriers in the area resulting in environmental damage from further dispersion of the oil along the coastal region. The UNESCO World Heritage Centre this week expressed concerned about the impact of the oil spill on the East Rennell region. 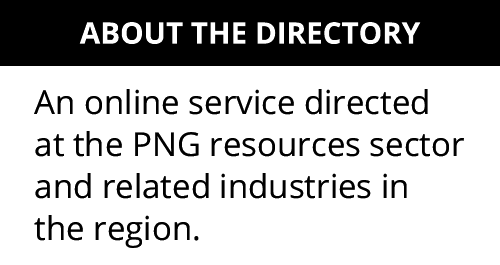 It said it was working with the Solomon authorities to minimise the impact of the spill. East Rennell was inscribed on the World Heritage List in 1998 and is the largest raised coral atoll in the world. The site includes Lake Tegano, a brackish lake containing many rugged limestone islets which was the former lagoon on the atoll, diverse and unmodified forest vegetation, and a marine area extending 3 nautical miles to sea. The UNESCO World Heritage Centre said it was "concerned about the impact of the grounding on the World Heritage area, and is working with the national authorities to ascertain the status of the situation and the best mitigation measures to be taken". A Singaporean salvage company was working to salvage the Hong Kong-owned vessel. Australia's Maritime Safety Authority has also carried out surveillance flights and deployed several officials to the disaster zone.